What's best than a refreshing cocktail on a beach on the Italian coast. 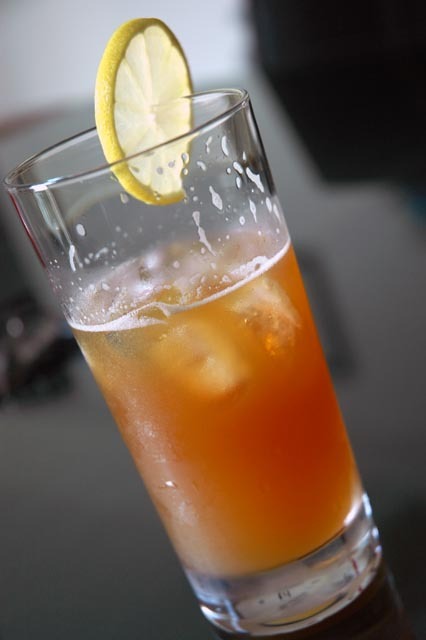 This is what you call a typical Italian cocktail, very refreshing, simple, based on Italian products that are readily available in Singapore. 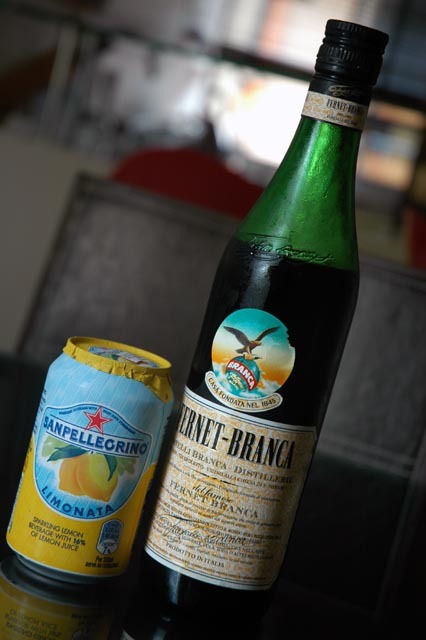 Put 4 ice cubes into a tall glass, pour 1cm of Fernet Branca into it, and top with limonata San Pellegrino. Stir and decorate with a slice of lemon.